What are you made of? Now of course I had always been told that it was snips and snails and puppy-dogs’ tails. But there comes a point in your weight loss journey where the body composition feels more important than your exact weight. 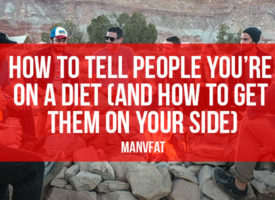 You see, the truth is that we don’t want to lose weight. 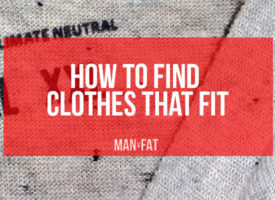 The site is not called MAN v WEIGHT. 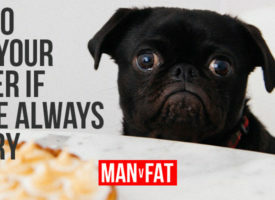 We want to lose fat. And to do that, we need to know how much fat there is and how low we want to get it. In the early days you can be rest assured that if you are losing no more than 1kg (2.2 lbs) a week, you are probably not losing that much lean mass (AKA the good stuff – muscle) and so you’re just losing fat. Weighing scales are more than suitable as a method and you can just rely on watching the needle drop each week. But what if you want to know how much fat you have in your body? Well, your weight won’t tell you that. Bioelectrical-impedance is the most common method used today, which have helped shift millions of smart FitBit and Withings scales. The truth is that bio-impedance is often no more accurate a measure of body composition than the discredited body mass index (BMI). That’s why we advise using it as a metric, but being aware that it can be erratic and often a way off the mark. The old school gym-goers will reach for the calipers, but just small differences in measurements can lead to wildly different results. Significant experience is required. 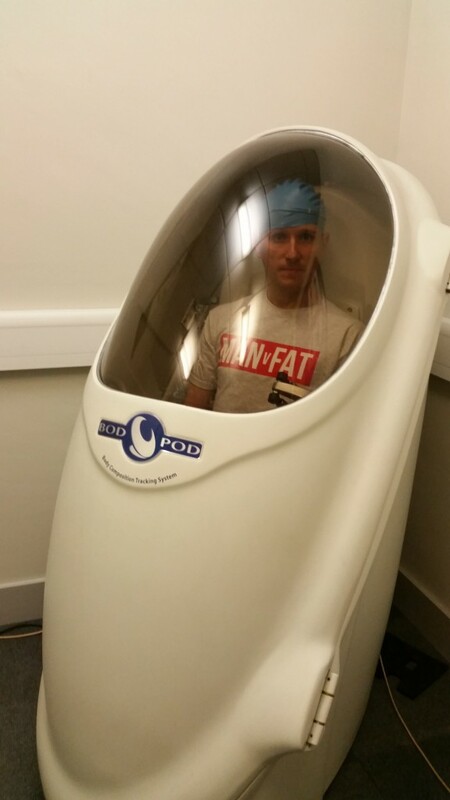 At MAN v FAT, we have raved over Bodpod (costing ~£50 per time – shown below) to give you an accurate body fat measurement. Using air displacement plethysmography, it provides a reasonably accurate body fat percentage (tends to slightly overestimated) but I found it lacking in detail. The Gold Standard of body composition is called DEXA. Until earlier this week, it was impossible to just book a DEXA in the UK.. You had to have a medical reason (losing weight is not acceptable) and be referred by a GP, in part due to the fact that DEXA makes use of low doses of x-rays. DEXA, or dual-energy x-ray absorptiometry is a medical scanning technology used for measuring bone mineral density and helps diagnose osteoporosis. It passes a very low dose of x-rays through the body to provide a highly accurate and precise measurement of body composition – specifically bone, fat and lean muscle. Yes, that really is my skeleton above. It is quick (about three minutes), painless and non-invasive. You’ll lie flat on a padded table, staying very still, with your feet in a slightly strange position and then your report will be ready. The radiation is equivalent to being on a plane for about 30 hours, or 10% of a chest x-ray. BodyScanUK (https://www.bodyscanuk.com) have launched this in several locations in the UK at a cost of around ~£119. In the background after you have filled in the forms, they get you a doctor’s referral and thus you turn up to a clinic or hospital and complete the scan. The detail of the report is amazing. You receive statistics on every gram of your body, whether your right arm muscle really is bigger than your left? Is that fat mainly around your trunk or on your legs? 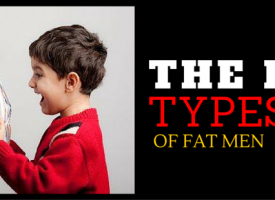 How much visceral fat (the fat that does the most damage) does your body have? How you compare to 20,000 US Citizens? I don’t think this is a spoiler to say that you might well be thinner than all of them! What do you think? Would you consider having a DEXA scan or would the x-rays put you off? What are you using to measure your weight? You going for one then JC? Yes maybe - would be interesting to do one now and one after weight loss to compare fat loss exactly - but I guess that would need to be the top end scan with viscal fat measured ?? Not bad. Would I pay it..I doubt it. So, a helpful tool but I don’t see the point other than curiosity. It doesn’t help someone figure out precisely what macros they need, what training suits them best, how much water to drink a day, it just gives them a number for the cost of a weekend away somewhere.